The next five years are going to be exciting and challenging times for people committed to early childhood development (ECD). Never before has the scientific evidence for ECD been so strong, and never before in South Africa has there been such strong political support to increase access to it. For the two-thirds of children under five years of age who never experience quality ECD programmes, this is a time of great opportunity. They will be able to learn better, earn better and live better, with great long-term benefits for our country. The challenge is that we’re not geared for scale-up. The systems are not in place to implement an essential package of early childhood development services to every child in the country. Unlike the provision of schooling or health care, we don’t have the national scaffold in place to fund, train and support ECD practitioners in home-visiting programmes, community playgroups and early learning facilities. Presently, the location of specific ECD centres and programmes depends on where an enterprising and committed individual or organisation is willing to start them up. We must build on that passion and expertise, but need to start planning to develop every young child in every district in the country. This challenge comes at a time of change in terms of funding for early childhood development. Over the past three years, Government has more than doubled its allocation to early learning through per capita subsidies for children in ECD centres – and that excludes the extension of Grade R to over 80% of five year olds. But international donor funding seems to have diminished, while it is difficult to gauge trends in funding from South African corporate social investment and private foundations. These trends are having a direct impact on established Resource & Training organisations (RTOs). The diversity of participants in the sector is also increasing, as ways are being sought to extend ECD services through other pre-existing home-visiting and child & youth care programmes. Funding has also been channelled to help develop key provincial and national systems that will ultimately benefit the ECD sector. This time of opportunity needs to be embraced by all funders and implementers who are committed to expanding access to quality early childhood development provision for all children under five years of age. We all need to be asking ourselves: “What should our role be in supporting universal ECD for all children in South Africa”. For example, if we need – for argument’s sake – 100 000 ECD practitioners skilled to provide a range of age-differentiated ECD services from pregnancy to five years of age – what should the role of the hundred or so RTO’s be? How do they need to align and support the Further Education and Training Sector? How can private funding best support the objective of scaling-up, building on the experience and expertise of RTO’s? At the same time, there are risks. The ECD sector is fragile, for the reasons described above, and in the medium-term, the bid to establish new channels of funding could jeopardise valuable and effective local programmes. Early childhood development is the foundation for all our work and we have continued to direct substantial resources to it. Of this investment, we have directed a third of our funding for ECD to the national initiative Ilifa labantwana, which has brought together a number of funders committed to scaling up quality ECD. Roughly a third of Ilifa’s funds support systems development, with the balance funding the local programmes that inform it. Not all of DGMT’s funding goes to RTOs, as we have sought to support other innovative initiatives as well that have found ways to integrate early childhood development into their programmes. Further, we have argued that education starts from before birth, not from school-going age and have redirected a significant part of our support to education into the early years. The net effect has been to increase our investments in the first six years of children’s lives. Going forward, we would like to continue to find ways to strengthen local initiatives as they seek to become the pillars and cross-beams of a national scaffold of support for early childhood development. Some of these projects may well be located in small, specific communities, but have catalytic potential through their commitment to testing innovation, sharing knowledge or being part of a bigger ‘franchise’ that creates economies of scale. I realise that we have to scale-up (and it is challenging to do this in the ECD sector) but in general I have a concern about trying to expand best practice to as many people as possible. The question of quantity versus quality. At the same time I am questioning the fact that should it be the one or the other? Is it possible to do both? Thanks David for the leading the way in the field of ECD. South Africa’s children having been waiting too long and cannot wait any longer. I empathise with Adele Botha’s concerns regarding quantity versus quality and have been wrestling with the challenge since I retired from the DoE some 7 years ago. The reality is that many small scale ECD interventions are impacting positively on local communities but not transforming ECD nationally. Perhaps the answer lies in a model that can be replicated in such a way that does not require a cumbersome infrastructure, but reaches many more pre-schoolers rapidly and effectively. At ‘The Unlimited Child’ we have reached 30 000 children in 5 years and welcome partners who are keen to replicate what we have done. Our big learning has been that quality cannot be sustained without top-notch monitoring and support. We look forward to partnering with the D G Murray Trust in the Port Shepstone (Ugu) District. Thank you for your comments. The Unlimited Child is a great example of an initiative that has sought to achieve both quality and scale. Bad out-of-home child care may be worse for the child than staying at home. Quality ECD is vital, in the same way that quality education or quality health care are critical. I don’t think that ECD provision need necessarily be a zero-sum game in terms of quality and quantity, especially if we understand that ‘quality’ is a function of both supply and demand. In other words, quality depends both on good training, supervision and support, but it also depends on public expectation of high quality services for children. As Ian points out, there are economies of scale in providing ECD that can reduce the unit costs of services while still ensuring quality. As access expands, so more parents will understand and value ECD – and expect and require higher quality. Purely supply-driven approaches to ECD, which fail to engage parents and inspire the public – are more likely to face zero-sum trade-offs. While ECD is vital, it’s much more difficult if the parents and especially fathers are not involved in the process. 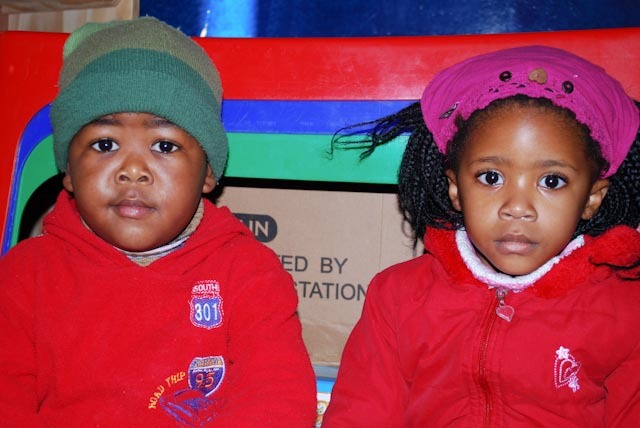 A recent survey showed that the kids from poorer homes tended to be embarrassed that they didn’t match-up to the better-off kids in grade 1, even though they were exposed to more or less the same ECD opportunities. Ivan Illich’s The futility of schooling is worth rereading. Imagine linking an ECD center to literacy, communication and job skills for fathers?